World of Neil: Anyone need a Chevalier? So I haven't written in ages and that's really bad because I do actually have LOADS of things to write about bore everyone with, but for now I thought I'd share what's possibly the weirdest thing I've seen in a while. 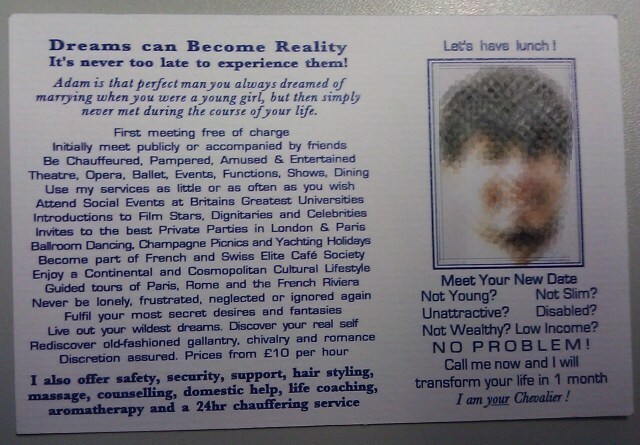 At work today Rob showed us this "business card" that had come through his door (we assume it went to the whole neighbourhood and not just him!) and well... see for yourself! 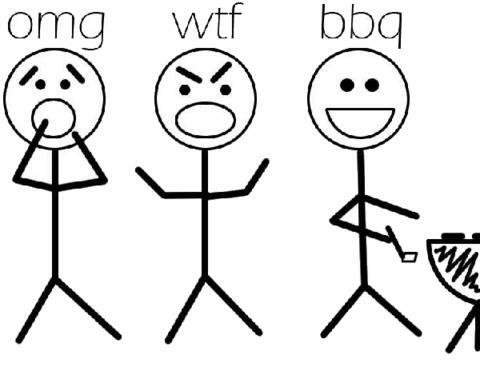 If ever there was someone worthy of the phrase OMGWTFBBQ, then THIS IS IT! LOL. Bizarre isn't it?! 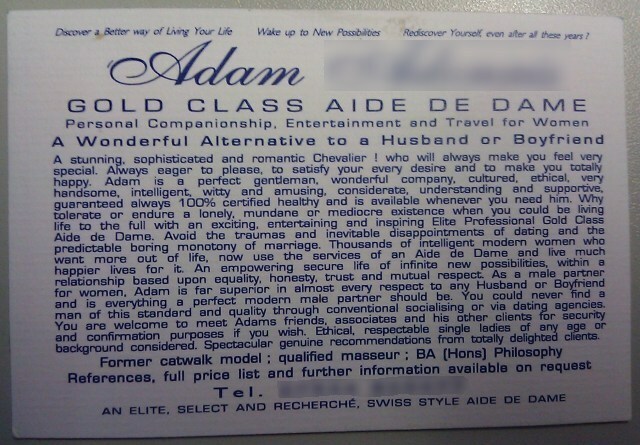 Although it was "publicly" posted through doors, I've blurred out the phone number and his face because we're not entirely sure if it's a cruel joke his friends have played on him (in which case I don't want to add to his likely agony by putting it all over the net!!) :) Bizarre!